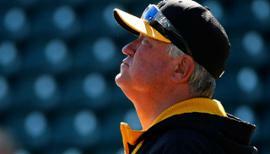 Draft: 2008, Arizona Diamondbacks, 1st rd. 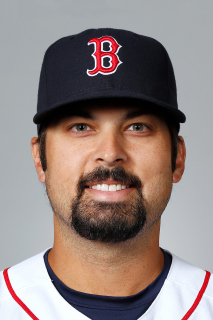 March 21, 2019 Boston Red Sox released LHP Daniel Schlereth. February 26, 2019 LHP Daniel Schlereth assigned to Boston Red Sox. November 2, 2018 LHP Daniel Schlereth elected free agency. September 20, 2018 Tacoma Rainiers activated LHP Daniel Schlereth from the 7-day disabled list. July 28, 2018 Tacoma Rainiers placed LHP Daniel Schlereth on the 7-day disabled list. June 30, 2018 LHP Daniel Schlereth assigned to Tacoma Rainiers from Arkansas Travelers. June 5, 2018 Seattle Mariners signed free agent LHP Daniel Schlereth to a minor league contract. June 5, 2018 LHP Daniel Schlereth assigned to Arkansas Travelers. November 6, 2017 LHP Daniel Schlereth elected free agency. August 24, 2017 LHP Daniel Schlereth assigned to Jacksonville Jumbo Shrimp from New Orleans Baby Cakes. August 21, 2017 LHP Daniel Schlereth assigned to New Orleans Baby Cakes from Jacksonville Jumbo Shrimp. August 16, 2017 LHP Daniel Schlereth assigned to Jacksonville Jumbo Shrimp from New Orleans Baby Cakes. July 20, 2017 New Orleans Baby Cakes placed LHP Daniel Schlereth on the 7-day disabled list. July 14, 2017 LHP Daniel Schlereth assigned to New Orleans Baby Cakes from Jacksonville Jumbo Shrimp. June 22, 2017 LHP Daniel Schlereth assigned to Jacksonville Jumbo Shrimp from New Orleans Baby Cakes. June 15, 2017 LHP Daniel Schlereth assigned to New Orleans Baby Cakes from Jacksonville Jumbo Shrimp. May 18, 2017 LHP Daniel Schlereth assigned to Jacksonville Jumbo Shrimp from Jupiter Hammerheads. May 5, 2017 Jupiter Hammerheads activated LHP Daniel Schlereth from the 7-day disabled list. April 30, 2017 Jupiter Hammerheads placed LHP Daniel Schlereth on the 7-day disabled list. April 19, 2017 LHP Daniel Schlereth assigned to Palm Beach Cardinals. April 19, 2017 LHP Daniel Schlereth assigned to Jupiter Hammerheads. April 18, 2017 LHP Daniel Schlereth assigned to Miami Marlins. March 25, 2017 Memphis Redbirds released LHP Daniel Schlereth. December 12, 2016 St. Louis Cardinals signed free agent LHP Daniel Schlereth to a minor league contract. June 30, 2016 New Hampshire Fisher Cats released LHP Daniel Schlereth. June 22, 2016 LHP Daniel Schlereth assigned to New Hampshire Fisher Cats. May 27, 2016 LHP Daniel Schlereth assigned to Vancouver Canadians from New Hampshire Fisher Cats. April 4, 2016 LHP Daniel Schlereth assigned to New Hampshire Fisher Cats from Buffalo Bisons. March 22, 2016 LHP Daniel Schlereth assigned to Toronto Blue Jays. January 22, 2016 LHP Daniel Schlereth assigned to Buffalo Bisons. January 13, 2016 Toronto Blue Jays signed free agent LHP Daniel Schlereth to a minor league contract. June 7, 2015 Iowa Cubs released LHP Daniel Schlereth. June 1, 2015 Iowa Cubs activated LHP Daniel Schlereth from the 7-day disabled list. May 24, 2015 Iowa Cubs placed LHP Daniel Schlereth on the 7-day disabled list. May 18, 2015 LHP Daniel Schlereth assigned to Iowa Cubs. April 26, 2015 Chicago Cubs signed free agent LHP Daniel Schlereth to a minor league contract. April 4, 2015 Detroit Tigers released LHP Daniel Schlereth. January 9, 2015 Detroit Tigers signed free agent LHP Daniel Schlereth to a minor league contract. January 9, 2015 LHP Daniel Schlereth assigned to Toledo Mud Hens. August 16, 2014 Toledo Mud Hens activated LHP Daniel Schlereth from the temporarily inactive list. August 7, 2014 Toledo Mud Hens placed LHP Daniel Schlereth on the temporarily inactive list. June 25, 2014 Indianapolis Indians traded LHP Daniel Schlereth to Toledo Mud Hens. June 24, 2014 LHP Daniel Schlereth assigned to Toledo Mud Hens. June 24, 2014 LHP Daniel Schlereth roster status changed by Indianapolis Indians. June 16, 2014 Indianapolis Indians placed LHP Daniel Schlereth on the 7-day disabled list. June 13, 2014 Indianapolis Indians activated LHP Daniel Schlereth from the 7-day disabled list. June 7, 2014 Indianapolis Indians placed LHP Daniel Schlereth on the 7-day disabled list retroactive to June 6, 2014. April 2, 2014 LHP Daniel Schlereth assigned to Indianapolis Indians. 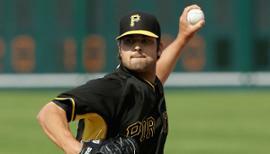 December 18, 2013 Pittsburgh Pirates signed free agent LHP Daniel Schlereth to a minor league contract and invited him to spring training. November 4, 2013 LHP Daniel Schlereth elected free agency. August 28, 2013 Norfolk Tides activated LHP Daniel Schlereth from the 7-day disabled list. August 23, 2013 LHP Daniel Schlereth assigned to Norfolk Tides. May 23, 2013 Norfolk Tides placed LHP Daniel Schlereth on the 7-day disabled list. May 19, 2013 Norfolk Tides activated LHP Daniel Schlereth from the 7-day disabled list. May 12, 2013 Norfolk Tides placed LHP Daniel Schlereth on the 7-day disabled list. December 19, 2012 Baltimore Orioles signed free agent LHP Daniel Schlereth to a minor league contract and invited him to spring training. November 30, 2012 LHP Daniel Schlereth elected free agency. October 29, 2012 Detroit Tigers activated LHP Daniel Schlereth from the 60-day disabled list. August 26, 2012 sent LHP Daniel Schlereth on a rehab assignment to Toledo Mud Hens. August 3, 2012 sent LHP Daniel Schlereth on a rehab assignment to Lakeland Flying Tigers. June 2, 2012 Detroit Tigers transferred LHP Daniel Schlereth from the 15-day disabled list to the 60-day disabled list. April 28, 2012 Daniel Schlereth roster status changed by Toledo Mud Hens. April 21, 2012 Detroit Tigers optioned Daniel Schlereth to Toledo Mud Hens. April 21, 2012 Daniel Schlereth assigned to Toledo Mud Hens. April 21, 2012 Detroit Tigers placed LHP Daniel Schlereth on the 15-day disabled list. Left shoulder tendinitis. July 29, 2011 Detroit Tigers recalled Daniel Schlereth from Toledo Mud Hens. June 30, 2011 Detroit Tigers optioned Daniel Schlereth to Toledo Mud Hens. August 16, 2010 Detroit Tigers selected the contract of Daniel Schlereth from Toledo Mud Hens. July 17, 2010 Detroit Tigers optioned Daniel Schlereth to Toledo Mud Hens. July 2, 2010 Detroit Tigers recalled Daniel Schlereth from Toledo Mud Hens. March 27, 2010 Detroit Tigers optioned Daniel Schlereth to Toledo Mud Hens. August 29, 2009 Arizona Diamondbacks recalled Daniel Schlereth from Reno Aces. August 26, 2009 Arizona Diamondbacks optioned Daniel Schlereth to Reno Aces. August 11, 2009 Arizona Diamondbacks recalled Daniel Schlereth from Mobile BayBears. August 2, 2009 Daniel Schlereth roster status changed by Mobile BayBears. June 9, 2009 Arizona Diamondbacks optioned LHP Daniel Schlereth to Mobile BayBears. May 29, 2009 Arizona Diamondbacks selected the contract of Daniel Schlereth from Mobile BayBears. July 16, 2008 Arizona Diamondbacks signed LHP Daniel Schlereth.